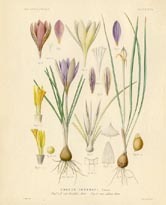 These beautiful prints are from the first edition of George Maw's (1839-1912) great Monagraph of the Genus Crocus. 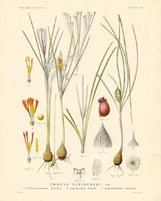 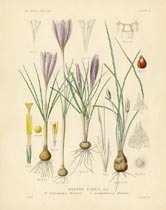 In addition to being a skilled illustrator, Maw was also a botanist by profession with interests in chemistry and geology. 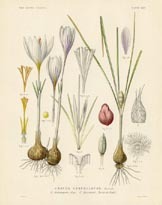 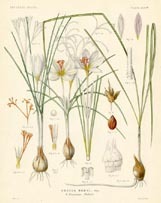 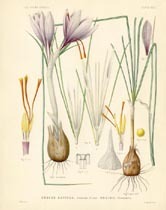 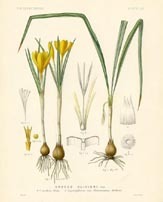 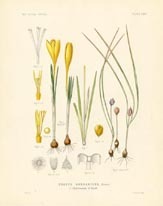 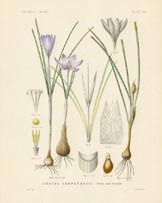 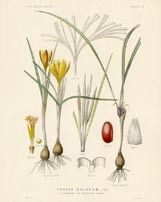 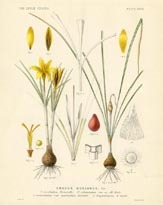 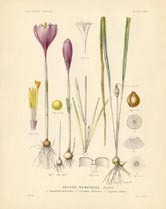 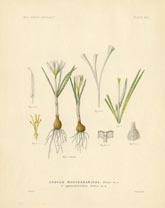 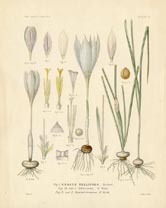 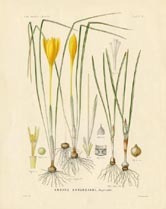 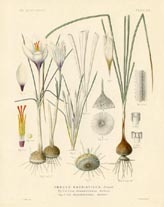 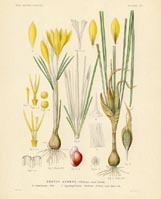 The monograph was the result of over 10 years of inquiry and is regarded as one of the most complete works on Crocus. 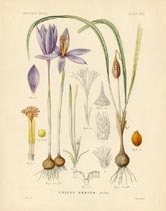 Maw's original drawings for this folio are now at Kew Gardens in London. 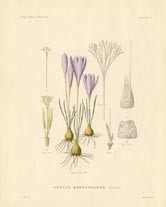 Great Flower Books refers to this as "The most important work on the genus ... the plates ... are wonderfully detailed and accurate."